You can get the Tile Sport Key Finder on sale at Amazon for only $19. That's a $15 discount and the best price we've seen for the GPS tracker. The Tile tracker is a handy way to help you keep track of important stuff. Attach the tracker to anything you don't want to lose, and it will send location data to the Tile app on your phone. You can even use the tracker to help find your phone, just double tap the button on your Tile and your phone will begin to ring even on silent mode. As the name implies, the Tile Sport model is rugged and ready for anything. 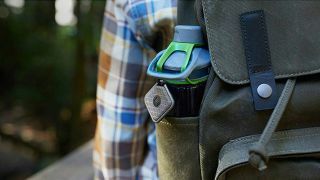 The Tile Sport is waterproof and claims to be the company's most powerful and durable tracker. The Sport has a 200-foot range and is twice as loud as the previous models. The tracker also works with Amazon Alexa and the Google Assistant so you can use your voice to help find your keys or phone. This is the lowest price we've seen for the Tile Sport so you should take advantage of this fantastic deal while you can.